The African Union (AU) has launched a pan-African passport. The idea behind the initiative is that the free movement of people will help create jobs and stimulate economic activity. This, in turn, would increase intra-African trade, boosting economic growth. The organisation’s intention is that by 2018 the passport will be distributed to all African citizens. The AU envisages the issuing of a biometric passport, or electronic passport, which would use contactless smart-card technology. It was chosen instead of a traditional passport because there is a smaller chance of fraud. But a number of insurmountable obstacles stand between the vision of a pan-African passport and it becoming a reality. I believe they are too big to overcome, particularly in the short time-frame the AU has given itself. The first is that many African countries lack the basic measures to roll out the initiative. For instance, they do not have access to the biometric systems needed to register the passports. Currently only 13 of the 54 AU members offer biometric passports. Algeria, Egypt, Gabon, Ghana and Tunisia, for example, do not have them. Second, there is already resistance to migration. This comes in the form of pre-existing visa barriers to other African nationals. For example, Equatorial Guinea, the country with the highest gross domestic product per capita in Africa, requires that citizens from the other 53 sovereign African states acquire a visa when visiting. Other African countries with the same restrictions include Democratic Republic of Congo, São Tomé and Príncipe, and Sudan. These would need to be repealed before a pan-African passport could be adopted. These countries have already shown their aversion to the adoption of the African passport, with the clear intent not to open borders to possible indiscriminate migration. Third, some countries are averse to allowing entry to more migrants due to high unemployment rates. In South Africa there is a widespread perception that foreigners are taking too many local jobs. This has led to xenophobic attacks, most recently in 2015 and 2016. South Africa fully supports the vision of an Africa where its citizens can move more freely across national borders, where intra-Africa trade is encouraged and there is greater integration and development of the African continent. The current status is untenable. Fourth, despite sub-regional agreements allowing for the freedom of movement of people, some African countries continue to adopt derogatory policies that make them “less free,” citing security concerns. For example, while Kenya, Rwanda and Uganda have agreed to the adoption of a single East African tourist visa, Burundi and Tanzania have bailed out citing reasons of national security. Domestically, some countries are also strengthening their refugee and migration policies. They have done so on the grounds of security concerns. A well-known example is Kenya’s decision to close Dadaab, the largest refugee camp in the country. What impact would an African passport have on the status of refugees and internally displaced people? It is still not clear how refugee policies would be affected. At present policies have been mostly at the discretion of domestic institutions. The question will therefore be: how much sovereignty will African states be prepared to surrender to adopt a common refugee policy? Until now only 19 African countries have implemented an essential legal instrument for the protection of migrants, the International Convention on the Protection of the Rights of All Migrant Workers and Members of their Families. This shows that countries are more inclined to determine their own migration policies. Added to this is the fact that, theoretically, the phenomenon of refugees would disappear if borders no longer existed. This is because no administrative “foreign border” would be crossed. Instead “refugees” would be replaced by an immense number of internally displaced persons. If this were to be the case, the 2009 Kampala Convention would need to be revised. This is the AU treaty that establishes state responsibilities for the protection and assistance of internally displaced persons. I believe it would be very difficult to overcome all these challenges because of the very short amount of time the AU has given itself. Recent history shows that, as a general policy, national sovereignty breaches individual rights in most African countries. This includes the freedom of movement. This is done in the name of keeping the country secure. 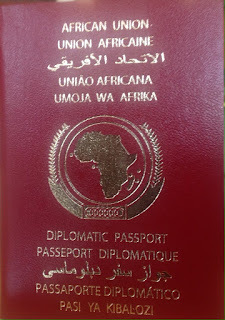 The idea of adopting a unique e-passport for Africans is certainly praiseworthy. But, in my opinion, there are presently still too many social, cultural and, above all, economic issues that will make the use of this passport impractical. Personally, I would rather start to strengthen existing sub-regional agreements. These have the scope to integrate more deeply the different countries that have signed them. Cristiano D'Orsi is research fellow and lecturer in the International Legal Protection of Asylum Seekers, Refugees, IDPs and Migrants with a strong focus on Africa at the University of Pretoria.